All About Eyes – in Douglas! As most of you know, South Georgia/North Florida Eye Partners has five locations. We are going to take some time in the next few months to focus on each of these offices…not only the practices themselves, but the people that make them what they are! This month, we’re focusing on our Douglas office. Here’s a little about what makes this location tick. John Moore LDO-Lab manager- has been in Douglas since the building was finished in 1999. With his many years of experience he is our go-to-guy to pick out a perfect frame and lens combo to fit your needs. Eye Partners Douglas’ Optical Shop has a new and fresh frame inventory that we are very excited about: Tiffany & Co., Tory Burch, Prada, Michael Kors, Versace, Ralph Lauren, Ray Ban, & Costa Del Mar just to name a few. When it comes to getting in to see us, scheduling an appointment is fast and easy! 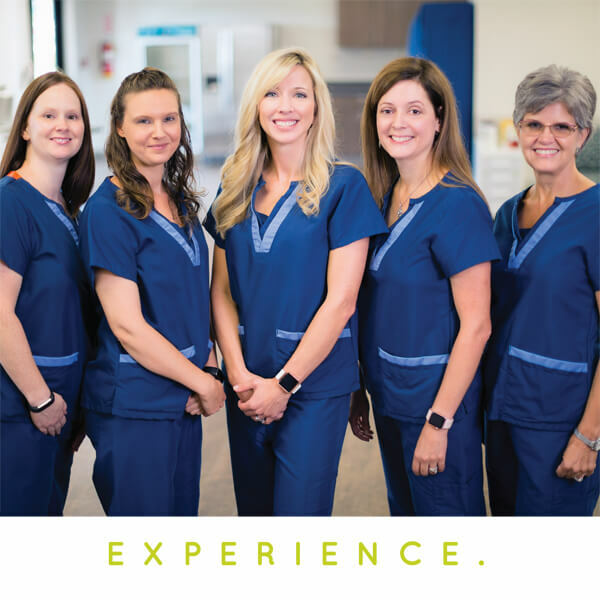 With five doctors servicing the Douglas location the highly trained staff is excellent at fitting your needs and personality with the right doctor for you. From cataract surgery to routine eye exams, the Douglas office has got you covered! 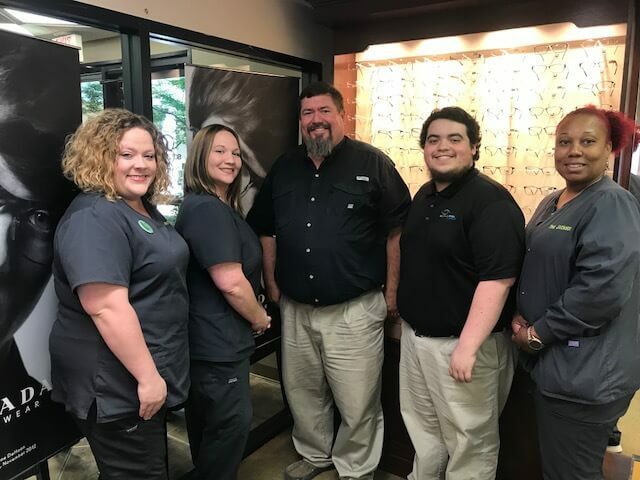 Angie Culler (Office Manager), Tina Jackson (Desk Lead/Optician Apprentice), and John Moore (LDO – Lab Manager) joined the Eye Partners team with years of experience working together. You can pick up on this immediately with the jokes and personal jabs they take at each other. They want the patients to feel at ease and at home so smiles and laughter are often heard throughout the office. Whitney Phillips and Caleb Kerman (our Ophthalmic Technicians) both began their careers at Eye Partners during their high school years. Caleb is hoping one day to become and eye doctor himself and travels here daily from the BIG CITY of Hoboken! Come by our Douglas office today and say hello – we’d love to see you! South Georgia/North Florida Eye Partners specializes in iLASIK and cataract surgery with premium lens implants, glaucoma diagnosis and treatment, comprehensive eye exams for adults and children and a Dry Eye Clinic. Our brand new surgery center in Valdosta is a state-of-the-art facility where our board-certified ophthalmologists can perform any number of optical procedures. Eye Partners also has an Optical Shop fully stocked with designer frames and sunglasses to fit your style and personality. To make an appointment with one of Eye Partners’ physicians or to find our locations and hours, click here. Posted in News | Comments Off on All About Eyes – in Douglas! Seeing clearly is something that a lot of people take for granted. It’s also something that can be achieved through iLASIK surgery – and without downtime or or discomfort. Just ask Traci Sellers -a 5thgrade teacher who depends on her eyes for her students, everyday in the classroom. South Georgia/North Florida Eye Partners offers the latest iLASIK technology, and our physicians are top notch. 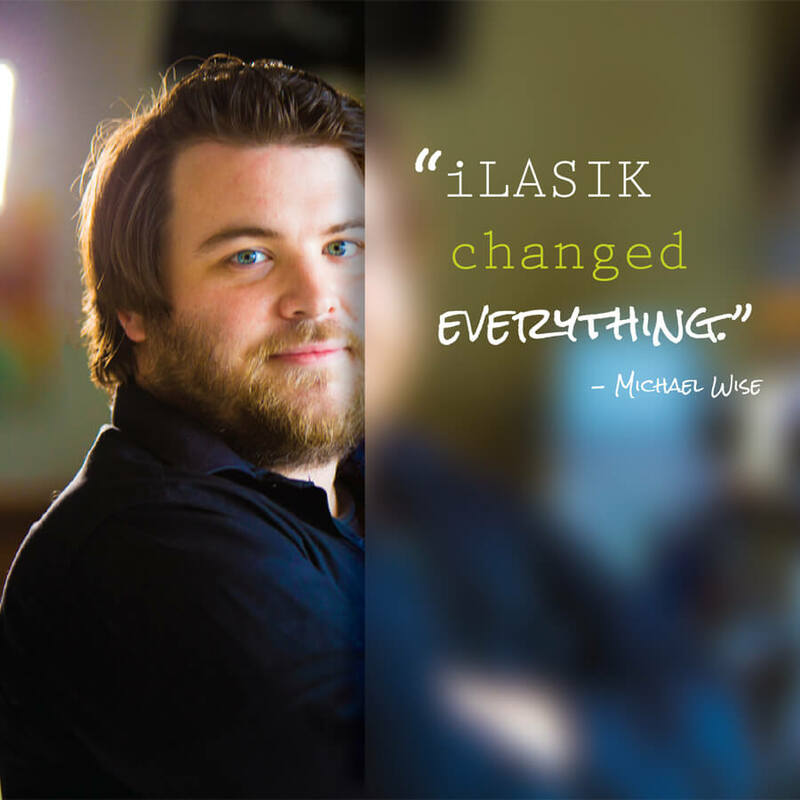 Traci is a great example of how iLASIK surgery improve your life by taking away the worry over your vision. Watch Traci’s video and hear her story in her own words. If you have refractive errors, such as nearsightedness, farsightedness or astigmatism, iLASIK surgery could be the solution. The latest in laservision correction technology, iLASIK (laster-assisted in situ keratomileusis), uses a laser to cut the corneal flap instead of a traditional blade. Dr. Scott Petermann and Dr. Wes Ross with Eye Partners perform iLASIK surgery in our Valdosta location (at our brand new surgery center). Consultations and post-operative care is available in all of our locations: Tifton, Valdosta, Douglas, Moultrie and Madison, FL. We are happy to answer any questions you might have in order to find out if you are a good candidate for the procedure. Call us to make an appointment– this could be your moment! Big News! Two New Doctors Join Our Team in 2018. 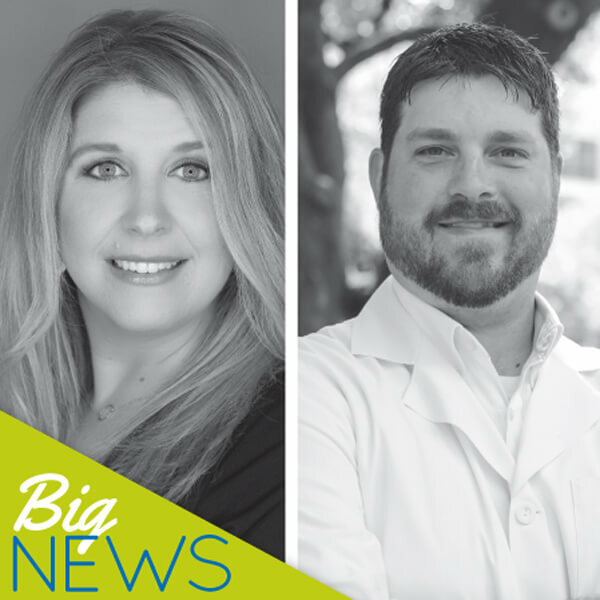 We are excited to announce Dr. Jodie Norman, an optometrist, and Dr. Garrett Webster, an ophthalmologist, will join the South Georgia/North Florida Eye Partners team in 2018. 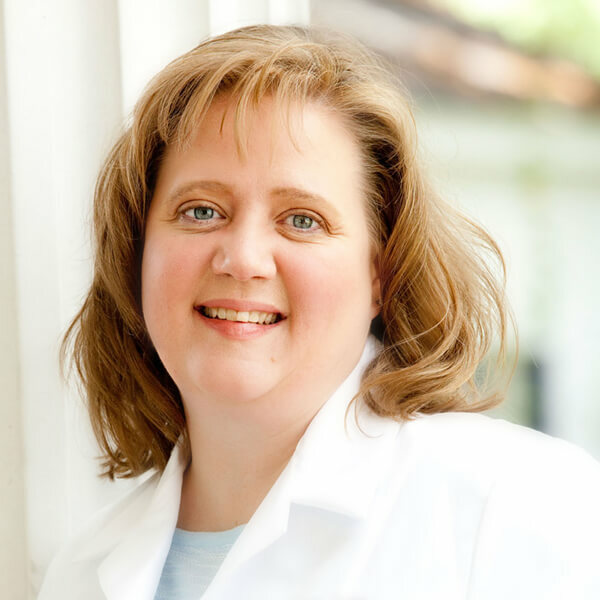 Dr. Norman holds a Bachelor of Science degree from Valdosta State University and graduated from the University of Alabama School of Optometry. In addition to adult and pediatric eye exams, she specializes in Dry Eye Syndrome and has expertise in contact lenses with a focus on scleral lenses. Dr. Norman will see patients in our Tifton and Douglas offices. She and her husband, Matt, have two boys – Gus (4) and Mac (2). 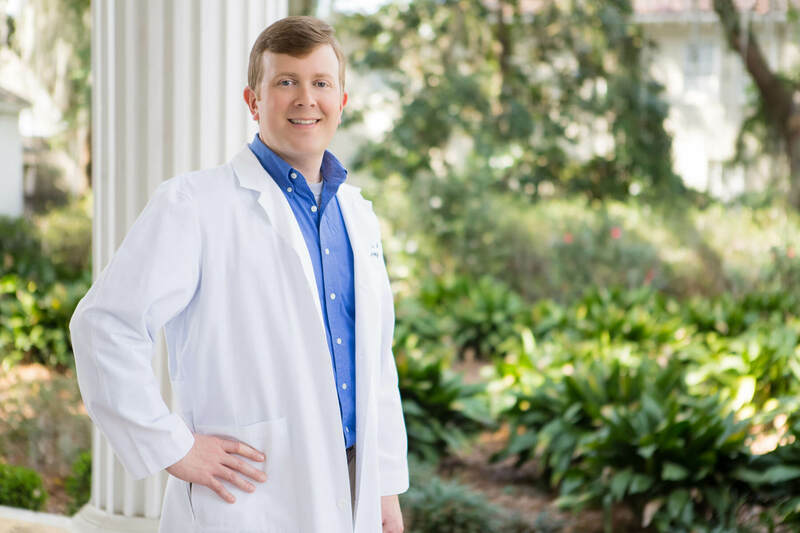 Dr. Webster, who will officially begin working with us in July of 2018 as the third ophthalmologist in our practice, graduated from the University of South Carolina’s School of Medicine in 2014. Dr. Webster brings an additional layer of expertise to our team, treating a broad range of complex ophthalmologic issues and performing advanced eye surgery, with a special interest in comprehensive cataract surgery. He and his wife, Sydney, have a daughter, Ginny, who is 14 months old, and a sweet Boykin Spaniel, Brice. South Georgia/North Florida Eye Partners looks forward to adding these accomplished physicians to our staff over the next year. Posted in News | Comments Off on Big News! Two New Doctors Join Our Team in 2018. 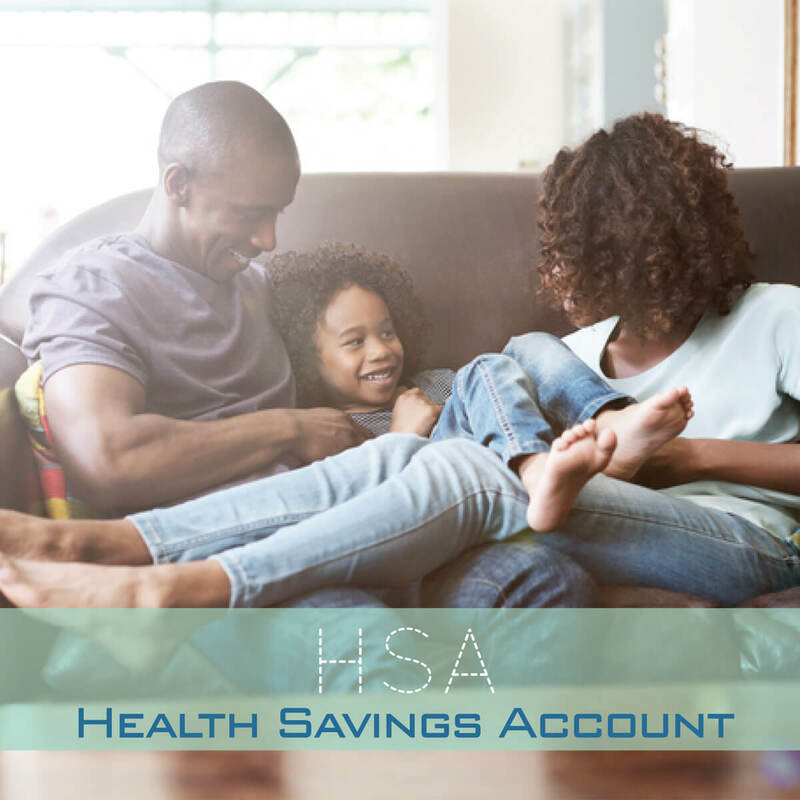 Do you have a Health Savings Account (HSA) or unused vision benefits on your insurance plan? If so, and you’ve put off making your vision appointment in 2017, call today! If you’re unsure the care you need is a qualified HSA expense or if it is covered under your insurance benefit plan, just give us a call and we will be glad to help you determine coverage for your specific vision issue and solution. Vision services typically considered qualified expenses by the IRS for health savings accounts include eye exams, prescription glasses, contacts, and certain eye surgeries to treat defective vision. South Georgia/North Florida Eye Partners has two board-certified ophthalmologists and five board-certified optometrists. Our physicians are trained in scheduled eye exams as well as in the diagnosis and treatment of dry eye syndrome, glaucoma, and many other optical issues. We also perform iLASIK surgery, laser-assisted cataract surgery and other vision procedures. With offices in Valdosta, Tifton, Douglas, Moultrie and Madison, Florida, there is certain to be a location convenient to you for all of your optometry needs. Call us today to schedule an appointment. This week we are spotlighting Dr. Melanie Hill. Dr. Hill works in our Madison, Florida, office and has been a wonderful addition to our South Georgia/North Florida Eye Partners family. Dr. Hill graduated from the Southern College of Optometry in Memphis, Tennessee, where she met her husband, Cory. After graduation, they moved together to Cory’s native Florida and have been there since 2000. She and her husband have two children, Reagan and Cooper, who keep Dr. Hill busy even when not at work. When asked what she loves most about optometry, Dr. Hill says, “I think it’s an honor to be able to protect one of the biggest blessings God gave us – sight.” Back in high school, Dr. Hill was assigned a research paper and she happened to write hers on optometry – the more she learned about the field, the more interested she became. And the rest – as they say – is history. Watch the video here to see Dr. Hill in action and hear her story in her own words. Dr. Hill and her family are very active at Faith Presbyterian Church in Tallahassee. She is an Elder at their church and the co-Moderator of the Children and Families Committee as well as a Sunday school teacher. South Georgia/North Florida Eye Partners has two board-certified ophthalmologists and five board-certified optometrists. Our physicians are trained in scheduled eye exams as well as in the diagnosis and treatment of dry eye syndrome, glaucoma, and many other optical issues. We also perform iLASIK surgery, laser-assisted cataract surgery and many other vision procedures. With offices in Valdosta, Tifton, Douglas, Moultrie and Madison, Florida, there is certain to be a location convenient to you for all of your optometry needs. Call us today to schedule an appointment. Next up in our Doctor Spotlight is Dr. Eric Kolisz. Dr. Kolisz is originally from Hammond, Indiana and is both a college and NFL football fan. He and his wife, Katie, came south a little more than 15 years ago, and they have have raised their three children – Avery, Claire and Ethan – in Valdosta. Dr. Kolisz says that his favorite thing about optometry is his patients – and it definitely shows. Kolisz enjoys seeing his patients through their different life stages and providing them with sight care all along the way. “That’s what it’s all about,” he says, “the relationships.” As a board-certified optometrist with special interest in everything from bifocal/complex contact lens fittings to sports vision, Dr. Kolisz is a well-rounded physician who is the type of doctor that wants to know the patient – not just their condition. Click here to watch Dr. Kolisz in action and hear his philosophy in his own words. In his spare time, Dr. Kolisz admits to being a huge foodie, and he loves to grill and prepare meals in the kitchen with his wife for friends and family. Kolisz is also a “golf addict” and he and his family attend First United Methodist of Valdosta. It’s that time again – time for another Doctor Spotlight! This time we’re learning more about Dr. Wes Ross. 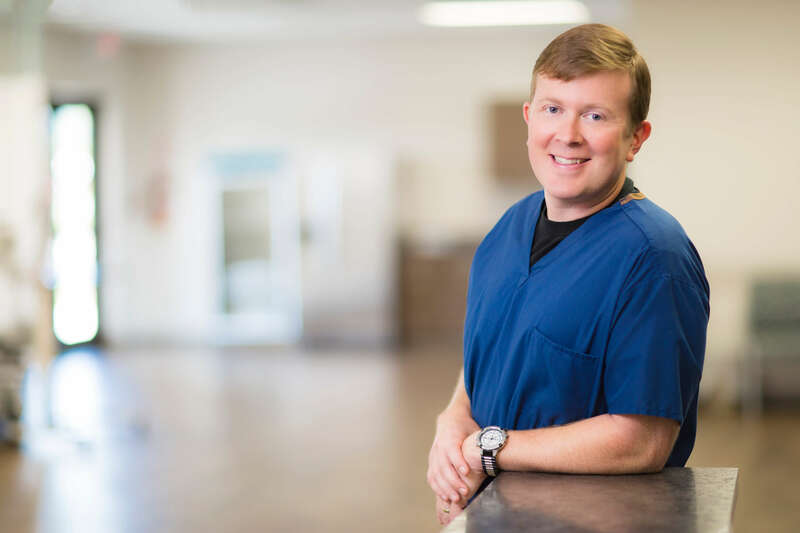 Dr. Ross is a Tifton native, and he and his wife, Shannon, have three children – Jay, Eli and June. After graduating from Valdosta State University, Dr. Ross got a job filing charts with Dr. Scott Petermann. Up until that point, Ross didn’t have that much of an interest in ophthalmology, but after being in that environment and seeing the difference that optometrists and ophthalmologists made in patients’ lives, he had a change of heart. Dr. Ross is now an accomplished ophthalmologist with South Georgia/North Florida Eye Partners and specializes in comprehensive ophthalmology with an emphasis in cataract and refractive surgery. Dr. Ross performs iLASIK surgery as well. “So much in medicine can be about the quantity of life, but what we get to do is improve QUALITY of life,” muses Dr. Ross. And speaking of quality of life, in his spare time, Ross builds furniture and is a grill master – smoking meats and making his own rubs. 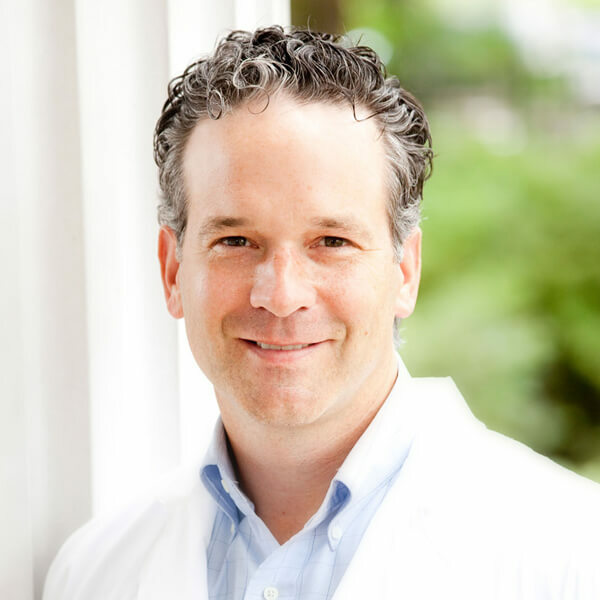 Click here to see a video of Dr. Ross speaking about his journey to becoming an ophthalmologist (along with videos of our other doctors as well! ).